Fir cones of all shapes and sizes can often be found under evergreen trees – collect a few dry ones for some fun easy fir-cone crafts. You will need: a Fir cone, piece of white card, piece of brown card, glue, scissors and a black felt tip pen. A few small downy feathers are an optional extra. 1.  Take the white card and cut a heart shape about 50mm wide for the face. Draw 2 black eyes and a beak.  Glue the face onto the front of your fir cone (thinnest end). 2. Take the brown card, copy and cut out the feet shape. Glue the feet onto the bottom of your fir cone (widest end). 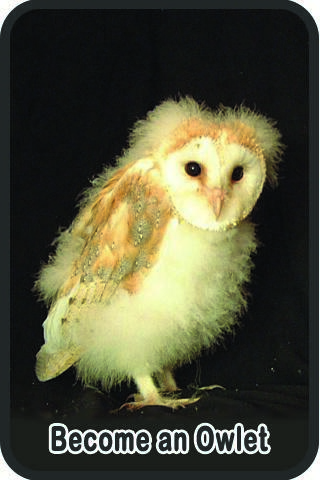 Say ‘hello’ to your fir cone Barn Owl!